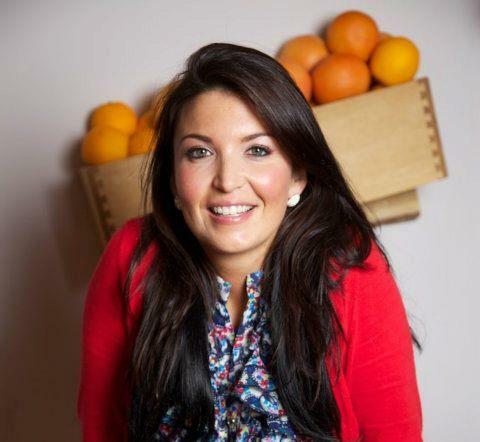 I am a qualified Nutritional Therapist and a passionate motivator, fitness coach and writer in Ireland’s leading restaurant, Rustic Stone on Georges Street, Dublin 2. I began my research in Nutrition and fitness back in 2003 as a result of my own medical conditions. After many years of trying everything, I finally changed my life dramatically through diet and lifestyle. Due to my own personal circumstances, I began studying nutrition from a very young age. I have been researching nutrition all my life searching for ways to ‘cure’ myself. Eventually, I now have learned to manage my circumstances through my diet and lifestyle. My passion in life is to pass this message on to as many people as I can. I have been practicing over the last five years and I have a huge success rate with my clients. I worked at Educogym for many years in fitness and weight loss while studying Nutrition. I am a nutrition practitioner with a passion for motivating my clients to lose weight and reach their nutrition goals. I created Rustic Stone Restaurant’s Raw Menu with Dylan McGrath which is based on using raw food ingredients in a way that enhance and complement the dishes’ flavour and nutritional value. I rotate my diet, consuming as much raw food as possible in the summertime. Generally, my diet is similar to that of a paleo diet, but I do allow for ongoing research into new nutritional therapies and diet plans. I am currently working on a ‘Kidsize Me‘ menu at Rustic Stone Restaurant and Fade Street Social. Kidsize Me is a joint initiative from the Nutrition & Health Foundation (NHF) and the Restaurants Association of Ireland (RAI) on the provision of child size portions of adult meals in restaurants. The initiative aims to ensure children have access to healthier food options when dining out by making child size portions of adult meals available as an alternative to ordering from the standard children’s menu. ‘We are living in an obese genic environment today and at least one person in every home is suffering from medical conditions such as Obesity, Diabetes or Cholesterol. At many restaurants and food establishments nationwide, I highlight the nutritional content of the menu and provides a comprehensive nutritional analysis of each dish. Through my nutrition consultancy, I am at this stage an expert in helping chefs and restaurateurs identify key areas on the menu where dishes can be made more nutritious without compromising on flavour. I spend my time educating the staff in food establishments to understand the importance of healthy eating and provides restaurants with a range of nutrition services including nutrient analysis (calories, fat, sodium content etc.) and allergen identification. This advice encourages you to take control of your own health, through the food you eat and the way you live your life. It provides a clear understanding of the nutrient profile of the menu to inform consumer choice. This valuable information helps to facilitate a more healthy eating approach to menu selections. I work with people who are suffering with mental health issues such as stress, anxiety and depression. ‘This is a huge and rising problem in Ireland and it is awful to see how many people are ashamed and too embarrassed to reach out for help.’ I have helped thousands of patients recover every year and they are now leading a normal and fulfilling life. More and more children are developing behavioral disorders as a result of their diet and it is frightening to see. The Royal College of Surgeon’s figures read as a worrying indication of the extent of mental health problems among Ireland’s youth, a traditionally neglected part of Ireland’s underfunded public healthcare system. My research proves that everything we eat, think and believe can either nourish or destroy our health and that far too often, the medicinal and healing properties of whole foods and lifestyle habits are overlooked. This is me and Dr Bill Walsh at the ‘Certified Dr William Walsh Training’ Week. I will be working with Dr. Bill Walsh on helping fight against mental health through nutrition based therapies. William J. Walsh, Ph.D., is an internationally recognised expert in the field of nutritional medicine. He is president of the non-profit Walsh Research Institute in Illinois and conducts physician training programs in advanced biochemical/nutrient therapies in Australia, Norway and other countries. His book, Nutrient Power (Skyhorse Publishing), which describes an evidence-based nutrient therapy system, was recently published. He has authored numerous peer-reviewed journal articles and scientific reports, as well as been granted five patents. He has presented his experimental research at the American Psychiatric Association, the U.S. Senate, and the National Institutes of Mental Health. Dr. Walsh has conducted chemical analysis of more than 25 serial killers and mass murderers, including Charles Manson, Richard Speck, James Oliver Huberty, Patrick Sherrill and Arthur Shawcross. He has assisted medical examiners, coroners, Scotland Yard, and the FBI in these forensics studies. He has designed nutritional programs for Olympic athletes, NBA players, major league baseball players, a heavyweight boxing champion, PGA and LPGA golfers, and others. Walsh Research Institute’s current research includes studies of autism brain tissues, the role of epigenetics in mental health, oxidative stress in disease conditions, and underlying causes of bipolar disorder. Most recently, this is me at the launch of Ireland’s first delicious Dairy & Gluten Free recipe book ‘Cookabilty’ with Keith Kenny. Nutritional content by Erika Doolan Nutrition Ireland. All royalties are donated to Irish Cancer Society. Buy online or in any Easons bookstore. Coeliac Society of Ireland are delighted to see this on the shelves! Most recently, I worked on a very intense project setting up ‘The Juice Factory’ whereby I created my own product range of raw cold pressed juices. My aim was to encourage as many people as possible to consume as many macro and micronutrients as possible. Juicing was becoming more popular and throughout my research and travels to LA and Toronto I discovered this was an area that had been around for a long time and has been consistent and sustainable. Ireland had nothing like this. We were lacking in the perfect nutritious tasty juice. Many of the juices that were on the shelves where quite off putting for the consumer and full of sugar. It is convenient and it’s a smart and easy way to consume a hit of goodness. I wanted to develop a healthy juice that tasted better than anything that was on the market. I started from the very bottom juicing from my own kitchen and then went on to a work from a HACCP approved unit in Nutgrove Enterprise Centre, Rathfarnham. I set up a production kitchen and put systems in place. We built up over 70 customers including high profile restaurants and cafes such as Cornucopia, Itsa Bagel, Alchemy Juice Co., Fallon & Byrne, The Butler’s Pantry, KC Peaches and many more. Unfortunately, due to unforeseen circumstances my business partner passed away on 30th September 2014. We have ceased trading and closed the doors of the Juice Factory. I continue my career in product development making healthy food taste delicious and nutritious.